speak with ease across any platform. 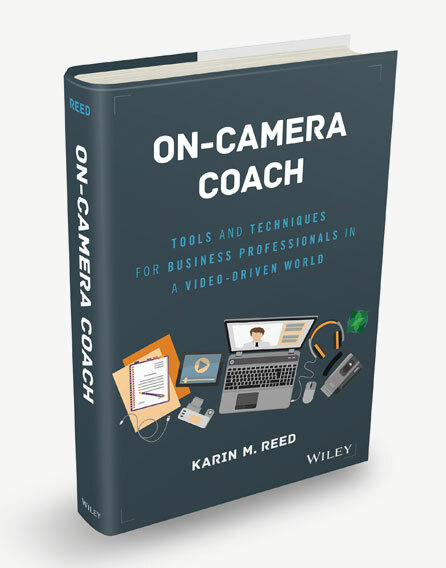 On-Camera Coach by Karin M. Reed. WANT MORE TRACTION AND LESS STRESS WHEN YOU SPEAK PUBLICLY? LET SPEAKER DYNAMICS HELP YOU SPEAK WITH EASE – ON CAMERA AND OFF. No two executives or communications challenges are the same. At Speaker Dynamics, we begin with the individual – helping them to maximize their natural presentation talents. Our approach focuses on our clients’ specific needs, helping them overcome the obstacles that keep them from efficient and effective communications. Speaker Dynamics helps executives by providing the tools they need to confidently and comfortably communicate on any platform. Being great at speaking in front of a room doesn’t guarantee success on camera. This book reveals many valuable lessons Karin taught me over time when we have worked together. I highly recommend that you read and take heed of her advice before going on camera. You’ll considerably improve your performance. The course was fun and Karin's depth of experience provided valuable perspective. She gave constructive feedback with warmth and humor, and showed us how to play to our strengths. I was nervous about this training but so glad I took it. This is one of the best professional training experiences I've ever had. 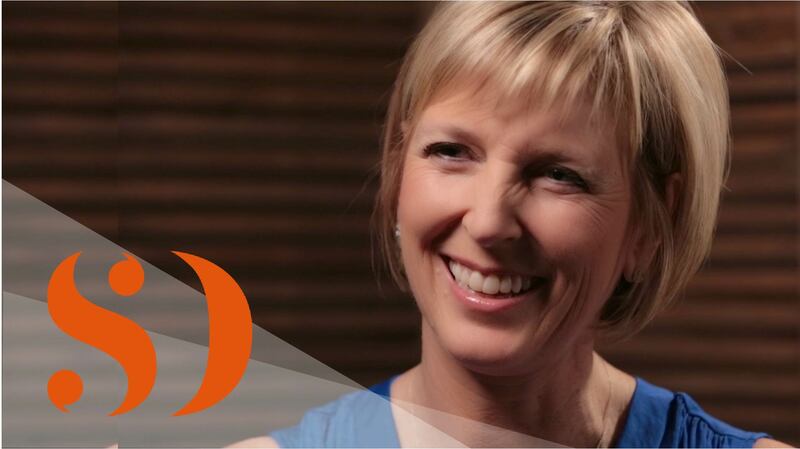 Having Karin as a coach has provided me with skills that have boosted my confidence as CEO of a growing startup company. She taught me to embrace speaking opportunities and use body language to communicate with confidence and passion. We also worked together on delivery of live webinar presentations, which has become an important channel for my business. At first, I had a hard time channeling emotion into webinar presentations because it felt unnatural to speak to the computer. Through working with Karin, I have learned to channel my passion into the webinars and speak with warmth and sincerity to better engage with my audience. I am an experienced public speaker, but I was intimidated by the camera, until I had the opportunity to participate in Karin’s workshop. She provided practical advice to make me feel good, look good (well, better) and do better in front of the camera. I have so much more confidence that I even look forward to on camera appearances now! She’s both professional and approachable, and that comes through clearly in this book. Having this book is like having a private consultation with Karin before every on camera experience! I will definitely be keeping a copy at my desk – you should too! Video is possibly the most effective media for reaching other people, conveying ideas, and selling products. Karin Reed’s tutorials gave me the edge I needed to produce professional quality videos. Whether you want to promote a startup, communicate with colleagues, or apply for a job as a news commentator, On-Camera Coach will help you polish your skills for optimal results! In today’s increasingly video driven world, all of us need help communicating our ideas in a natural and approachable manner. Karin Reed's On-Camera Coach, is an excellent starting point for anyone that needs to learn how best to communicate their ideas in video while avoiding common pitfalls that could easily distract from their intended message. Her personal anecdotes from her own on camera experiences are entertaining while clearly demonstrating techniques needed to prepare and practice for a medium that does not come naturally for most of us. Karin is a confidence creator. Her mission is to empower her clients to speak with ease to any audience on any platform. Her methodology is based on more than 20+ years of experience as an award-winning news anchor, on-camera spokesperson and commercial actress. Karin has been a trusted trainer and consultant for companies ranging from early-stage start-up to Fortune 500. Her warm and encouraging approach has made even the most reluctant public speakers into compelling communicators at companies like SAS, Teva Pharmaceuticals and Duke University. Her passion is helping each client identify and maximize his or her personal presentation style, believing the best speakers are steeped in authenticity.